They will perform together for the first time in Stockton on Tees May 4. Mike McGrother fronts the popular NE of England folk rock group 'The Wildcats of Kilkenny'. He is also known for his pioneering work introducing music and the arts to disadvantaged young people in the Stockton/Middlesburgh areas. Jimi and Mike first met while performing back to back shows during a week long music festival in Kunming, China last October. Mike was playing with the Wildcats. Jimi was performing solo with backing tracks. "I always say one of the best things about being in a band is meeting people and musicians across the world" said Mike. "Jimi's bagpipe wizardry and music blew us away. Great guy too, a lot of fun to work with. "When we returned home from China I was struck with the idea of bringing in Dan and persuading Jimi to work on a new project entitled 'An Englishman, An Irishman and a Scotsman'. Fortunately both agreed, just so long as we did one or two ACDC covers. Ok I said, let's do this". An Englishman, An Irishman and a Scotsman promises to be a totally unique collaboration featuring Mike's fiddle and folk tinged blarney, Dan's looped guitar drive and Jimi's distinctive bagpipe sound. Tickets for the May 4 show can be booked by calling Stockton Arts Centre. 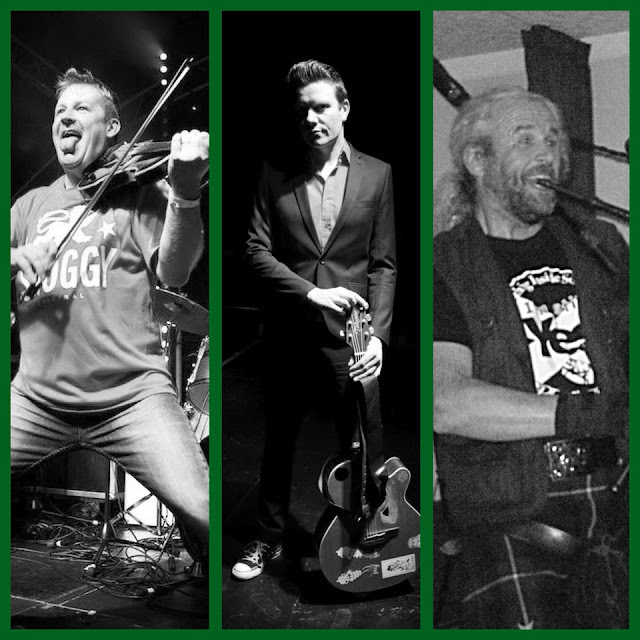 The three lads promise to create a night of music, craic and merriment with an explosive finale of rousing 'celtic' anthemns.